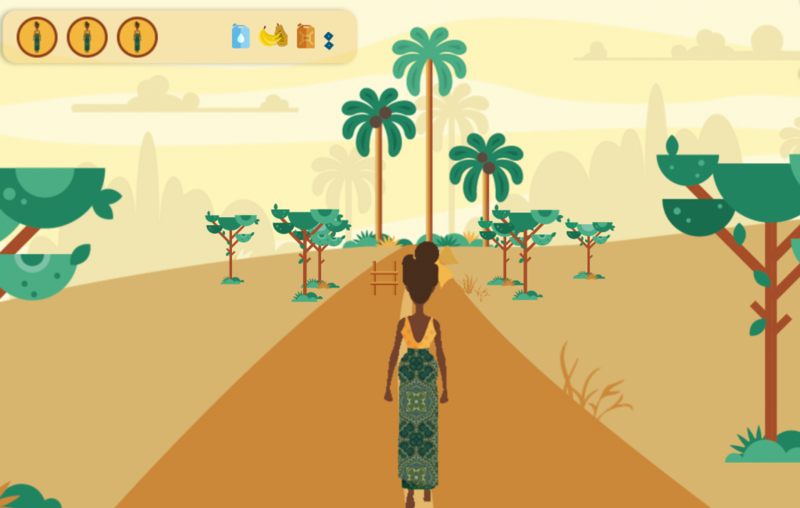 Memisa, an NGO (Non-Governmental Organisation) that focuses on the accessibility of health care in the South recently released a serious game with the purpose of sensitizing the general public on the subject of the high maternal mortality in Africa. In the game, players experience the difficulties faced by a pregnant woman in Africa on her way to the hospital. Binta, the main protagonist, has to travel safely through three levels: one on foot, one by boat and one on a motorbike ambulance. The gameplay is similar to that of a typical Infinite Runner game. If players succeed in getting Binta to the hospital, they stand a chance to win one of many great prizes, such as a plane ticket to Africa or some delicious chocolate. It might not be the most amazing game ever created, but it does convey the message Memisa wants to get across: ‘birth is no child’s play’, which is also the slogan of the overall campaign. Memisa is of course trying to reach as broad an audience as possible with its game. So please play & share the game to help raise awareness for this important topic.